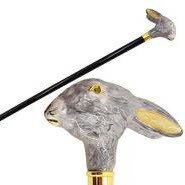 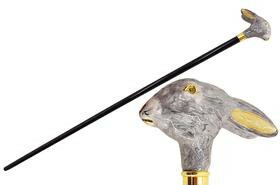 The rabbit cane mounted on a black hardwood shaft with gilt metal collar. 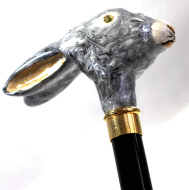 This cane is designed for light use, collection or display. 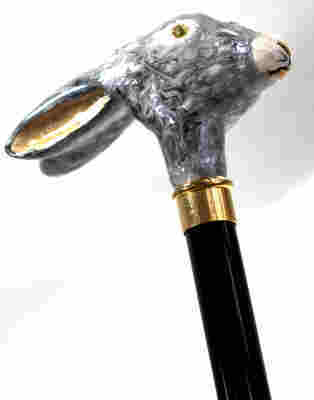 Enamel has the ability to break if dropped.